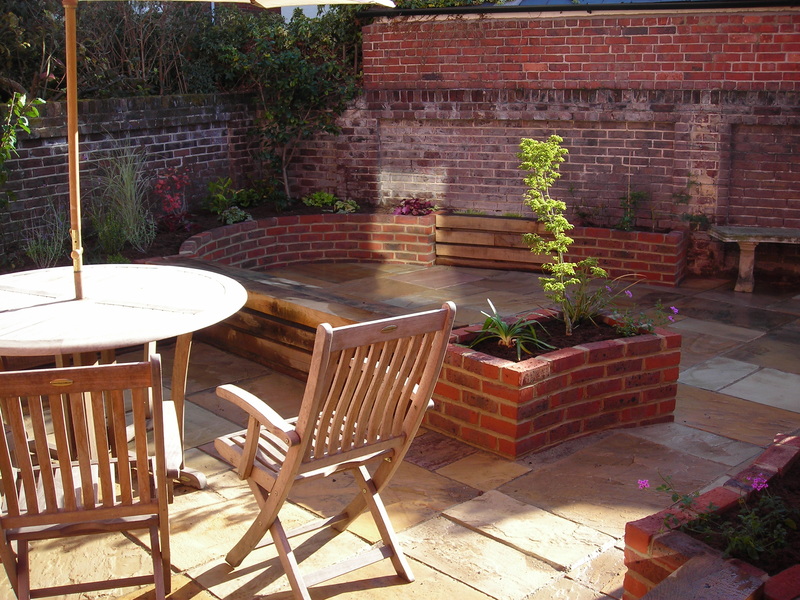 Gardens | West Sussex Garden design, landscaping and contracting. 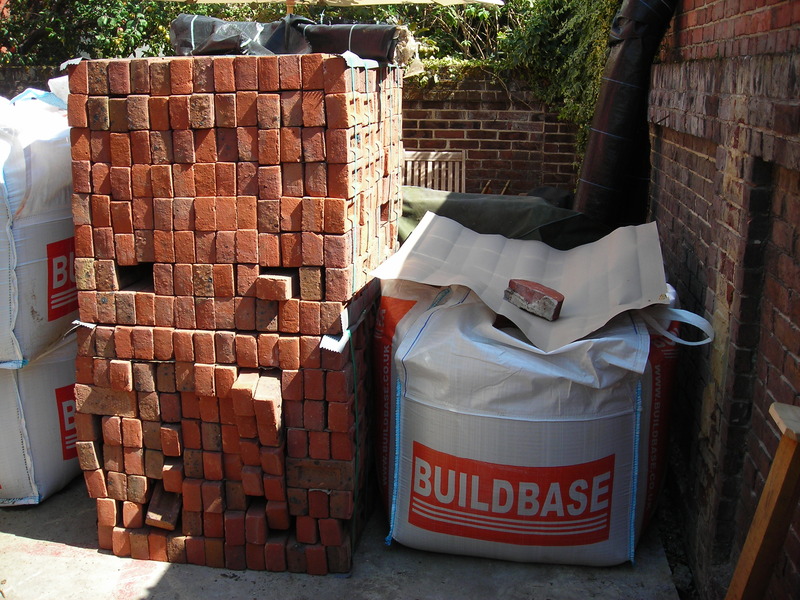 It was a pleasure working with Graham, who is very reliable. Graham replaced my pond with a wonderful border he planned, that I get lots of pleasure from now. I would recommend Graham and the great team he works with to anyone. 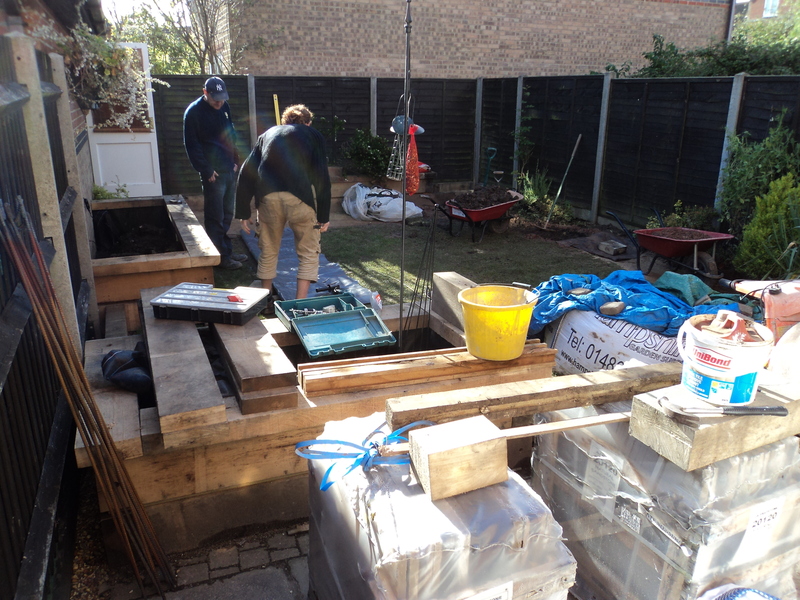 Earth Architecture designs and constructs raised beds that really can lift a garden, giving an immediate structural third dimension with many practical uses. 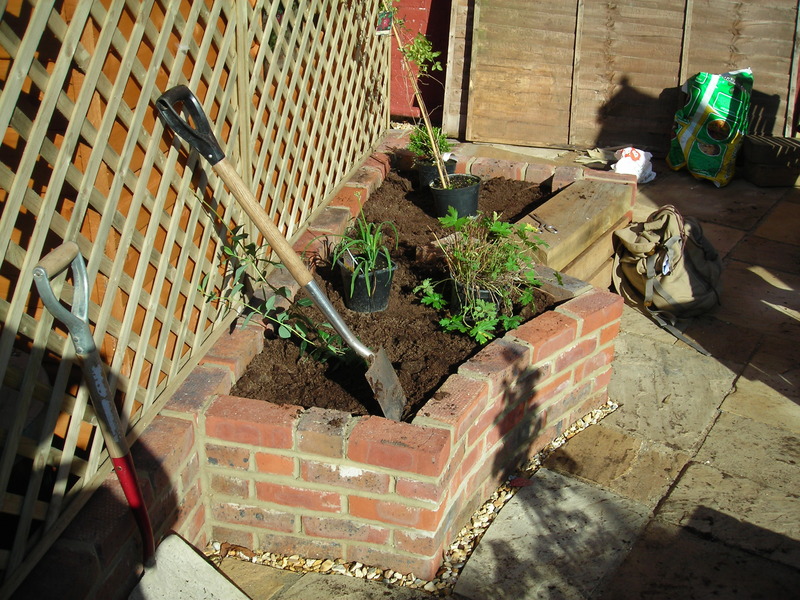 There is generally more natural heat generated in a raised bed, so they are great for herbs. They double up as permanent seating. They last forever and mature to a beautiful silver grey and require no maintenance as they contain their own natural oils. 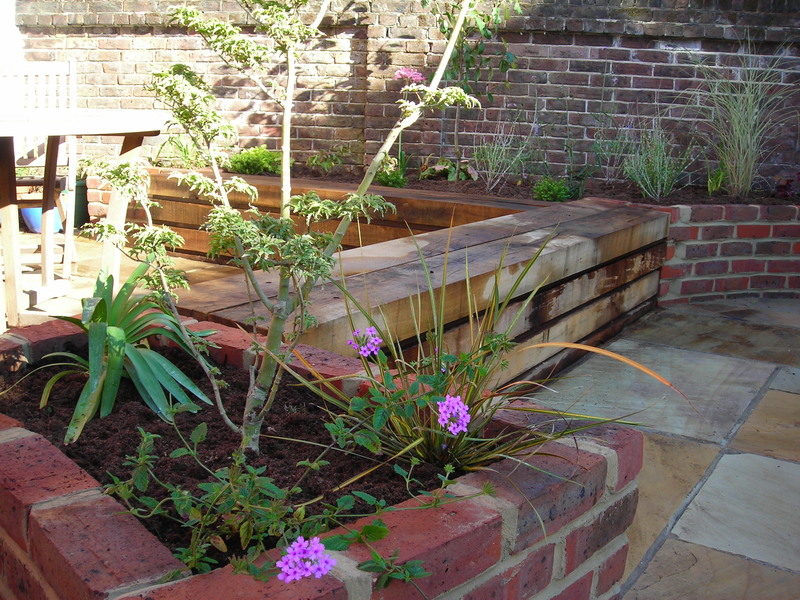 The planting is immediately at eye level when seated, so the herbaceous perennials, the ‘jewels of the garden’ and specimen plants are given even greater importance and prominence. 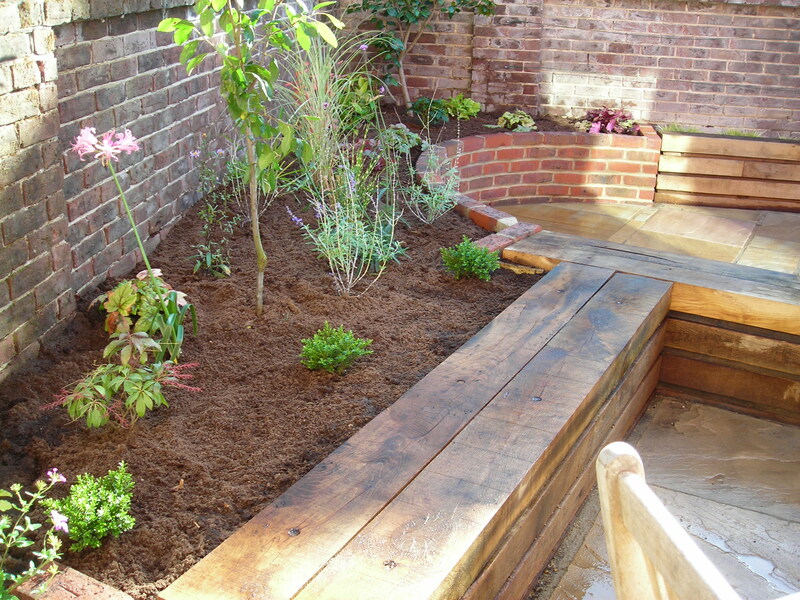 Below you will find images of raised beds to give you a visual idea of how they can transform a flat area into something really special. 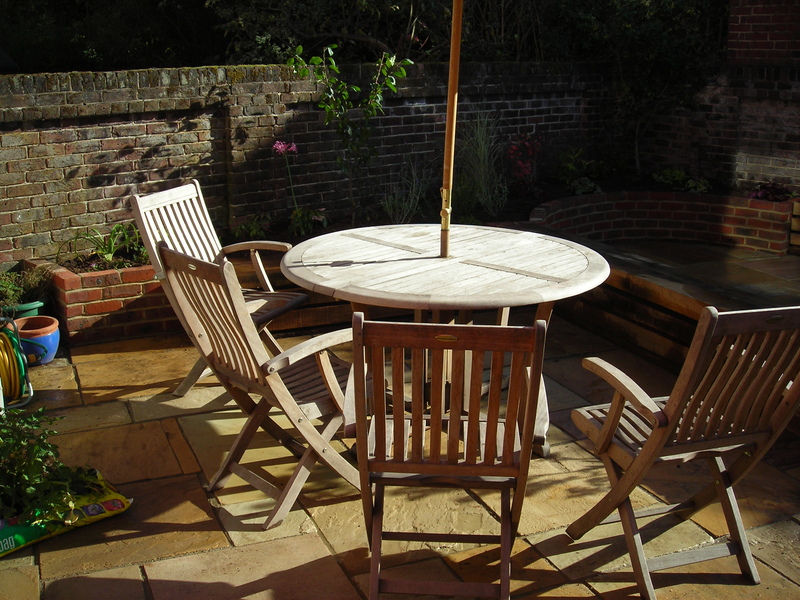 This example below has LED lighting inset into the oak. There is an option for remote controlled lighting. 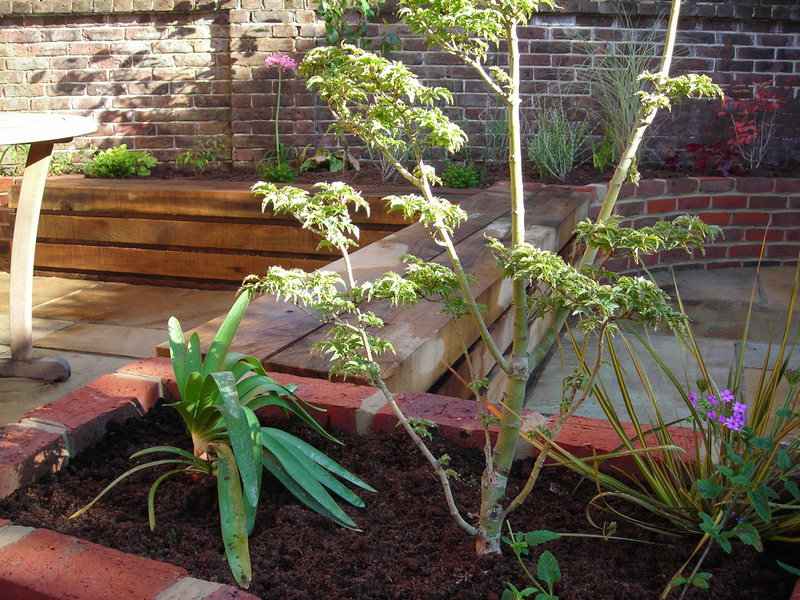 We design many types of oak raised beds from basic to the most bespoke depending on the clients’ needs, budget and what is most appropriate for the overall aesthetic. 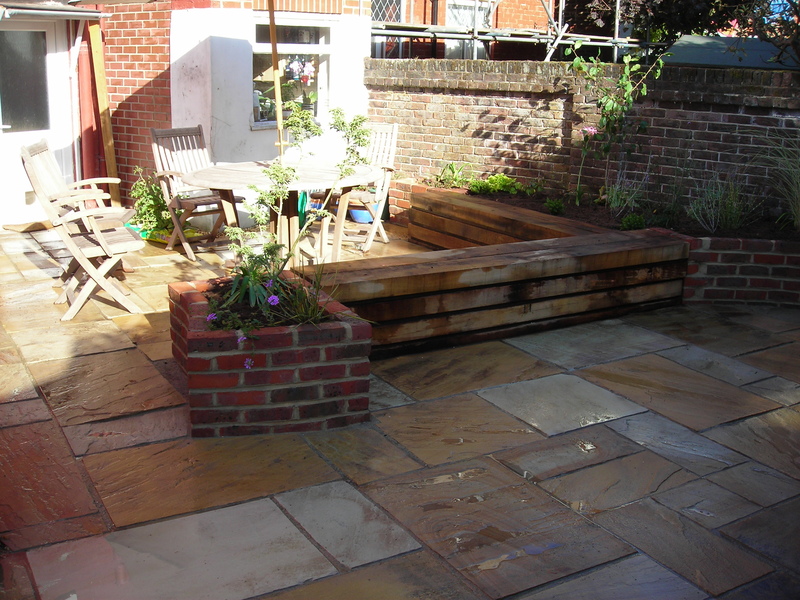 This Craneswater Park, Southsea project below nicely illustrates oak raised beds, brick curves, natural sandstone paving and planting etc. 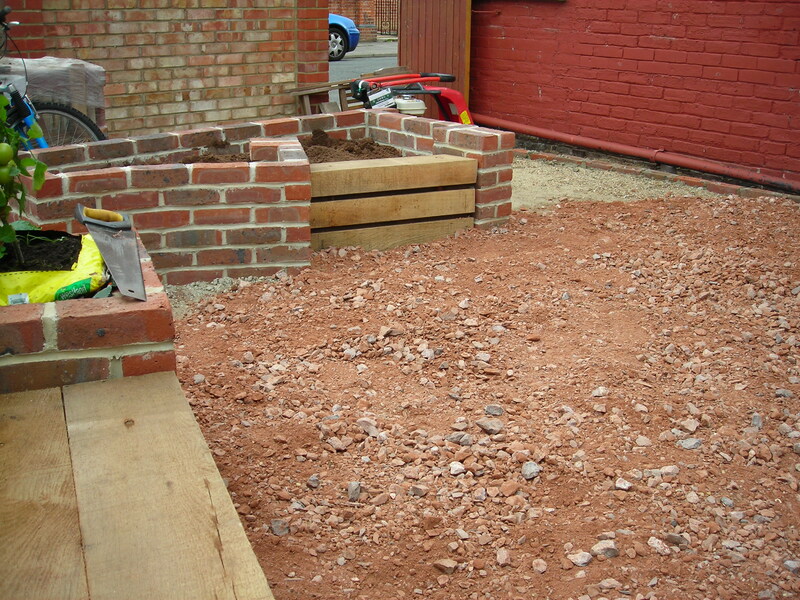 Pictures taken from almost the same position with the garage removed. 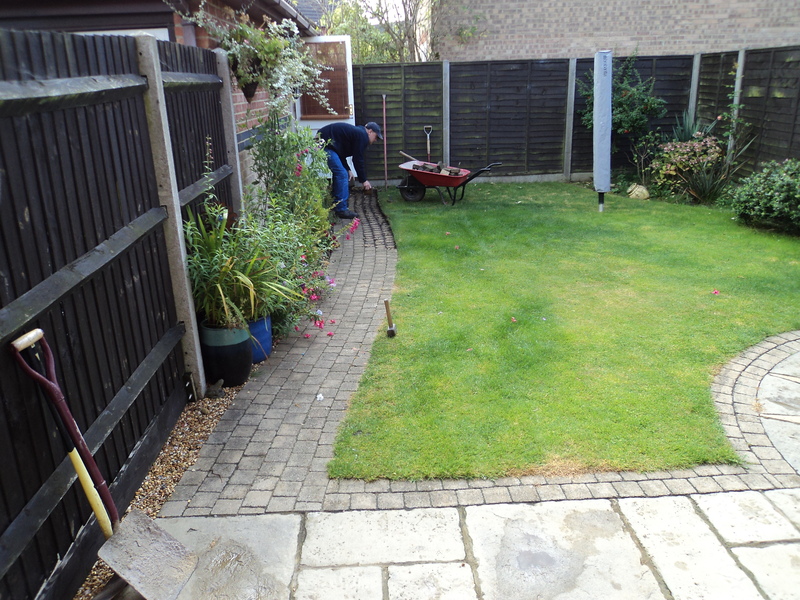 Graham is fully hands-on and employs two experienced landscape gardeners. 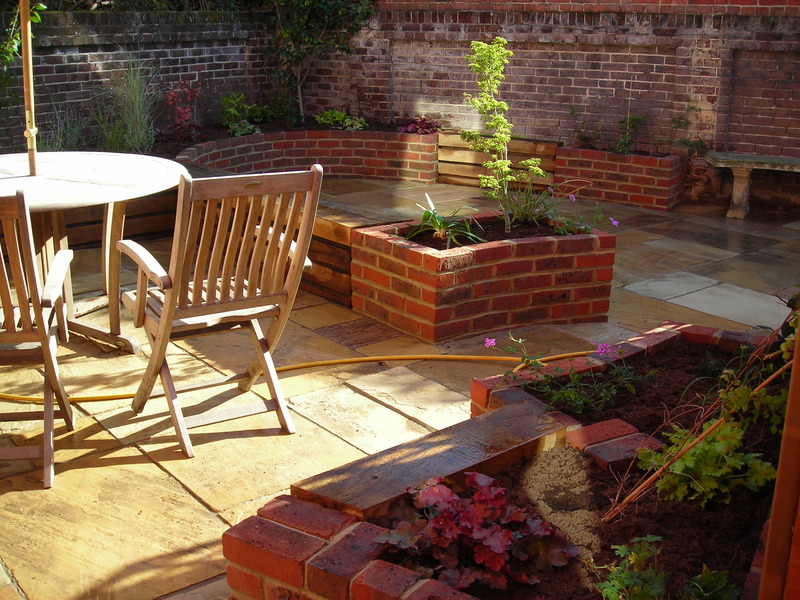 The garden has been designed to flow naturally from one space to another. 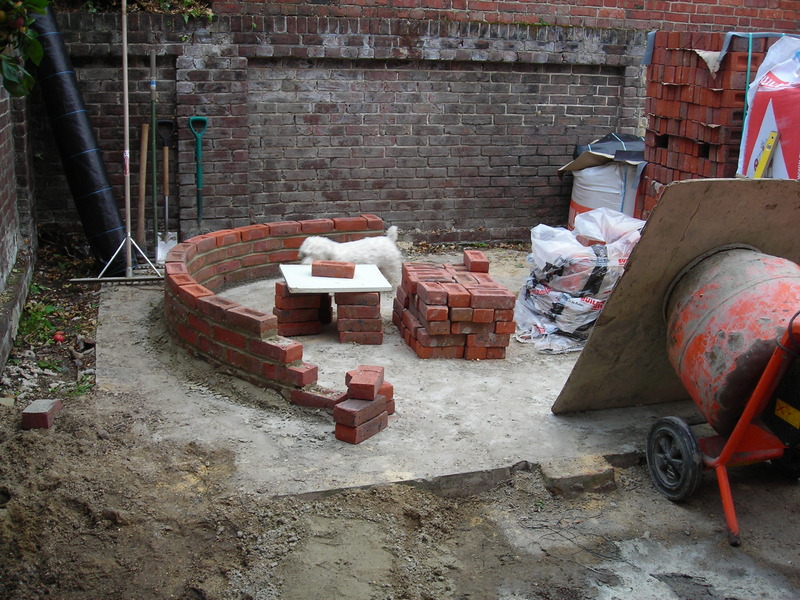 The brick paved area is built with a double concave curve to avoid using a step. 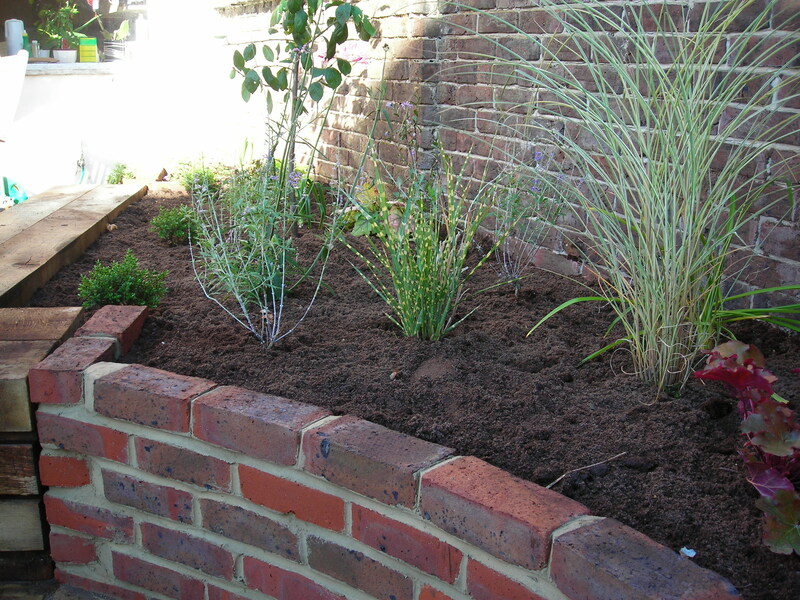 The entrance through to the second area has an off-set curved brick raised bed either side to add subtle movement. This was inspired by Graham’s love of chess and the en-passant move. The clients do a lot of entertaining. 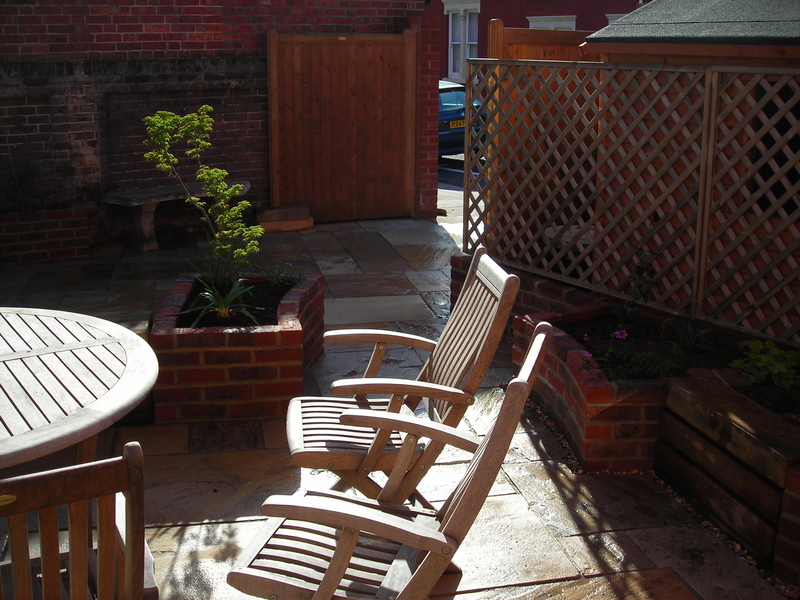 Graham designed the garden to make maximum use of the space. 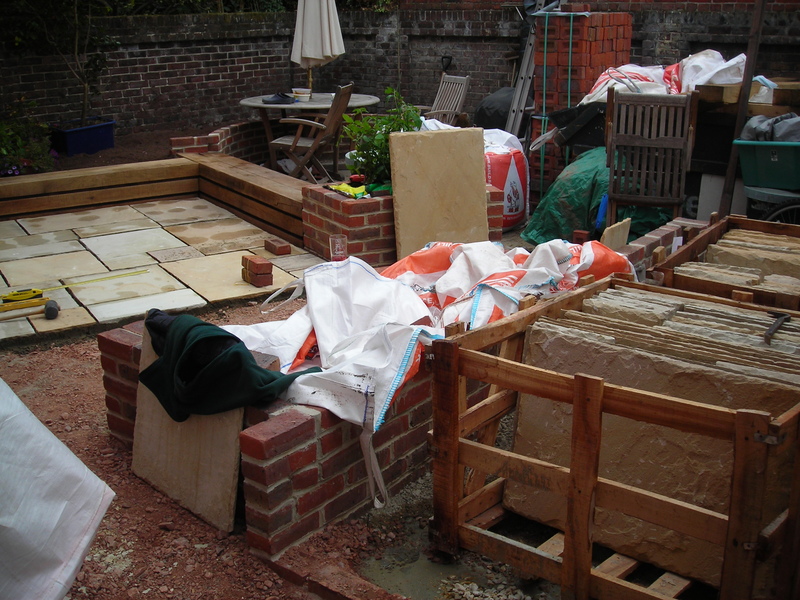 Everything is considered and each day the garden is tweaked on site from the original plan/working drawing. 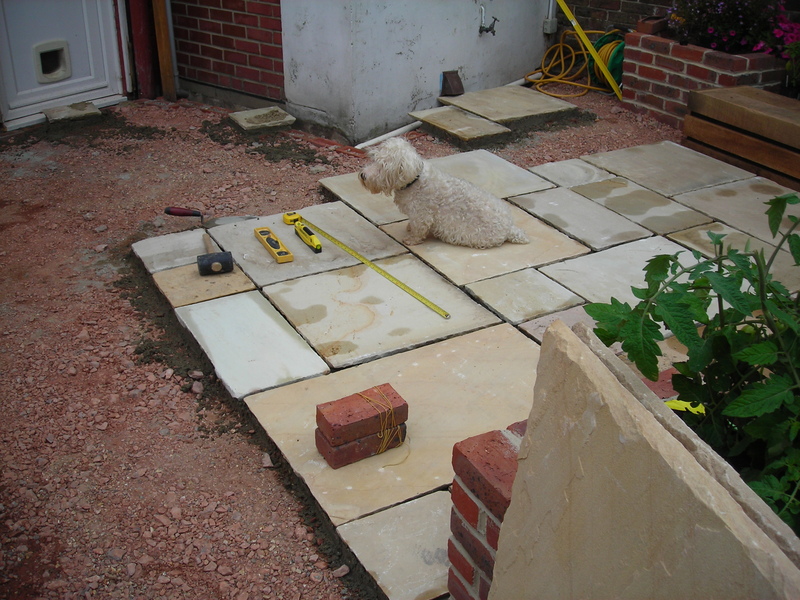 Graham is hands-on and works in the garden each day throughout the project. This personal design and build process has an unique advantage over many if not all competitors. 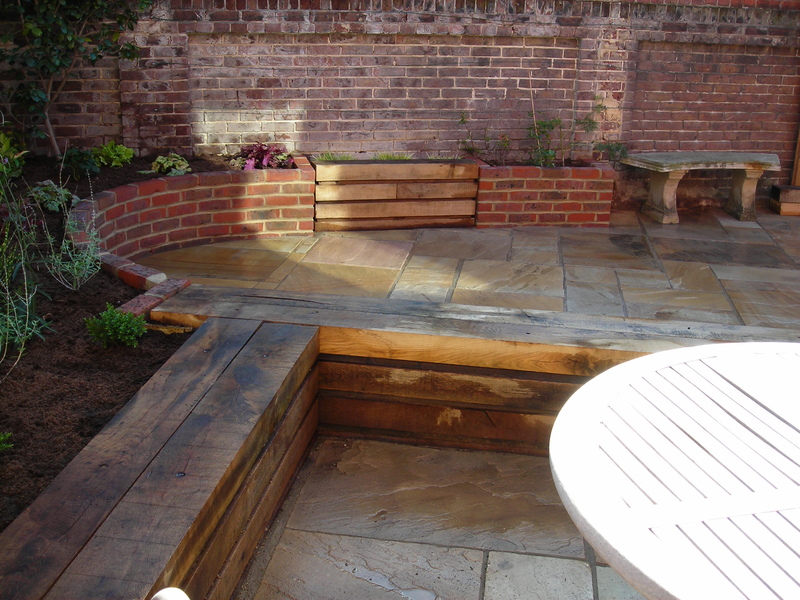 The oak raised beds have been designed with tanalised timber inset to create a shadow line and to emphasise the horizontal. Beginning to plant-up. 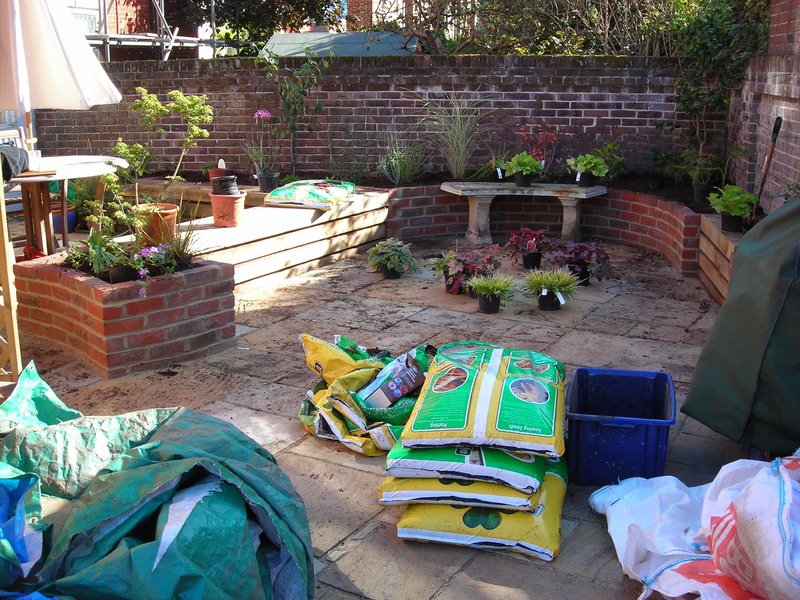 We source plants from trade nurseries for the best available and for the most appropriate. The client had her first baby, a girl, that morning. 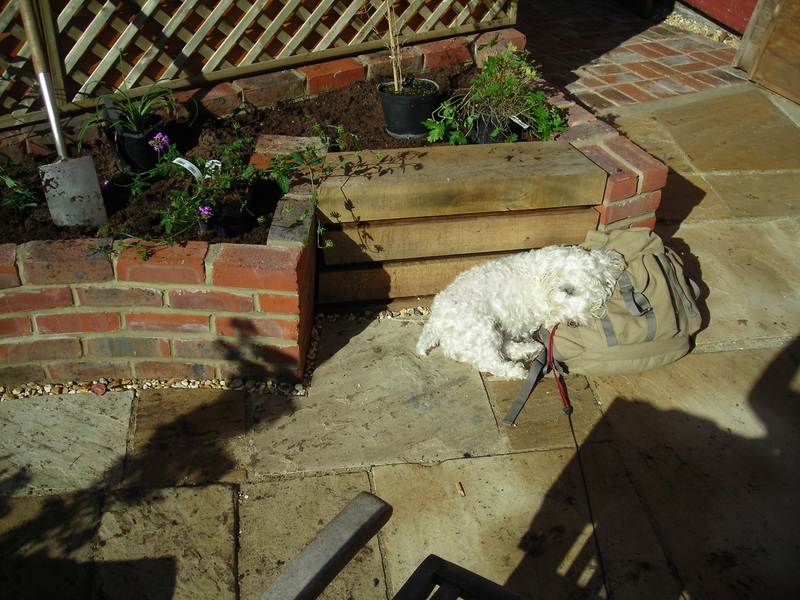 Her name is Daisy, as a present we planted some Michaelmas daisies in one of the raised beds. Each year they will be in flower on her birthday. 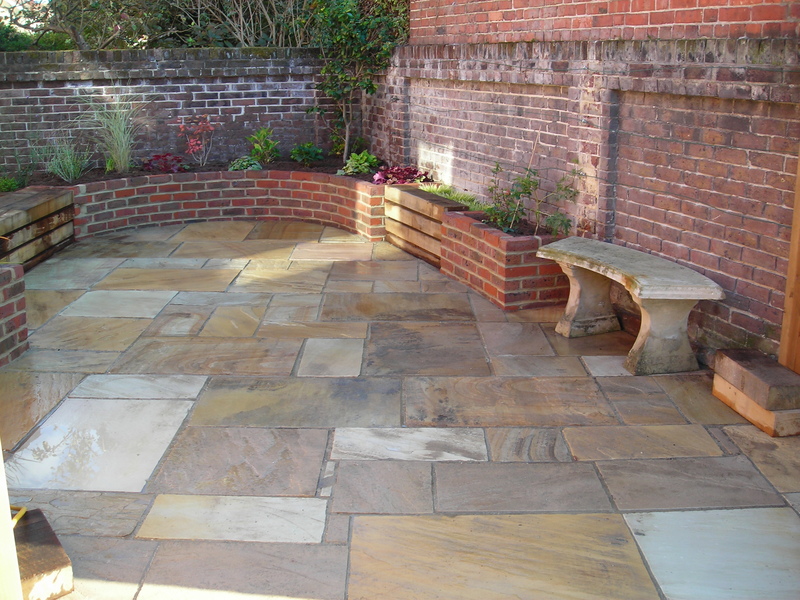 The natural sandstone paving lightens the garden. It has fossils embedded and looks great when wet and also when dry. 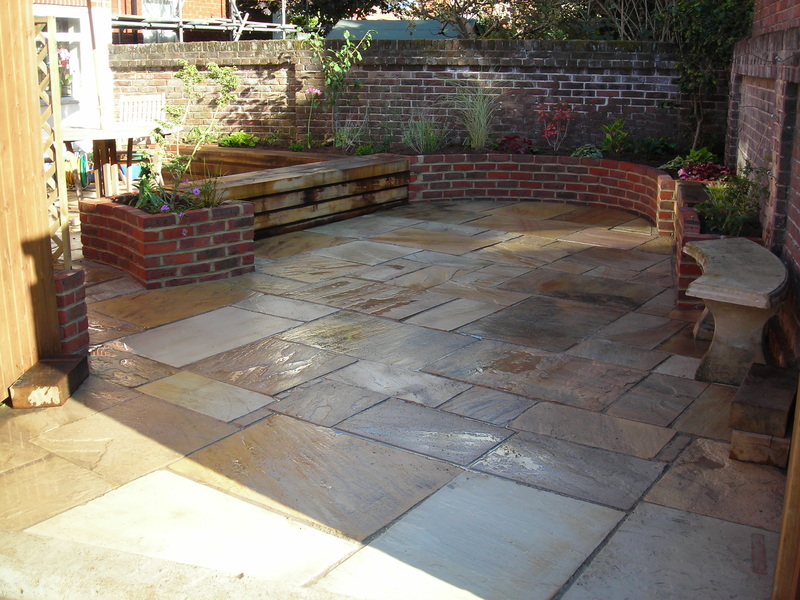 The paving is all cut on an angle to give a natural subtle dynamism to the garden. 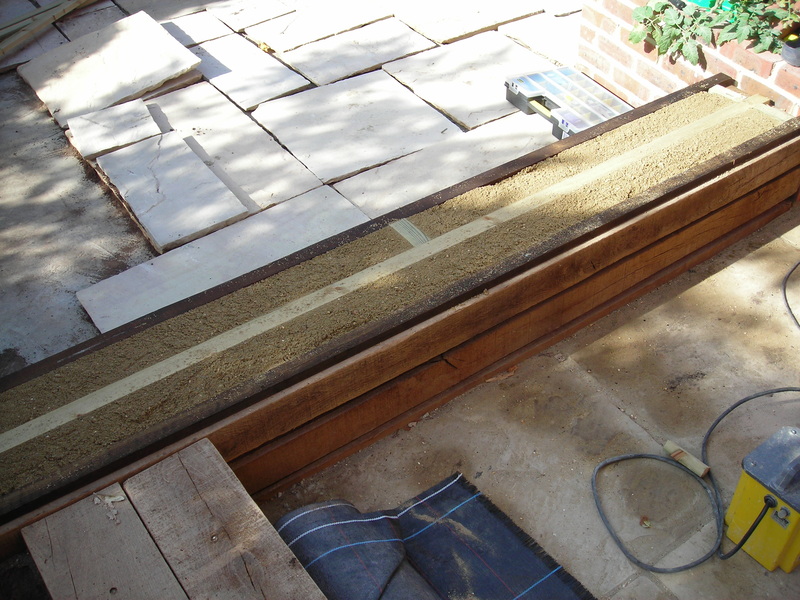 The threshold is made from a strong concrete mix and curved. We find off-the-shelf thresholds are not appropriate for the aesthetic we wish to achieve. 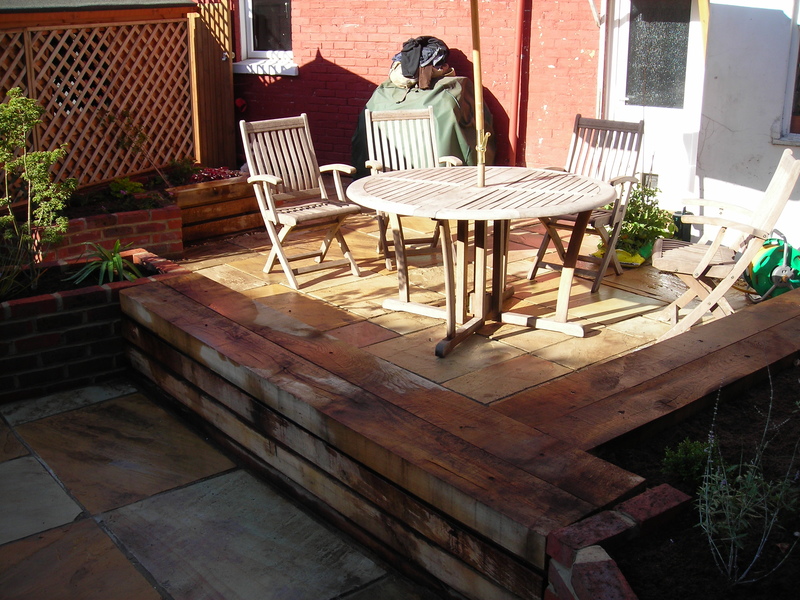 Everything is bespoke and designed to unite the whole garden with a similar feel. 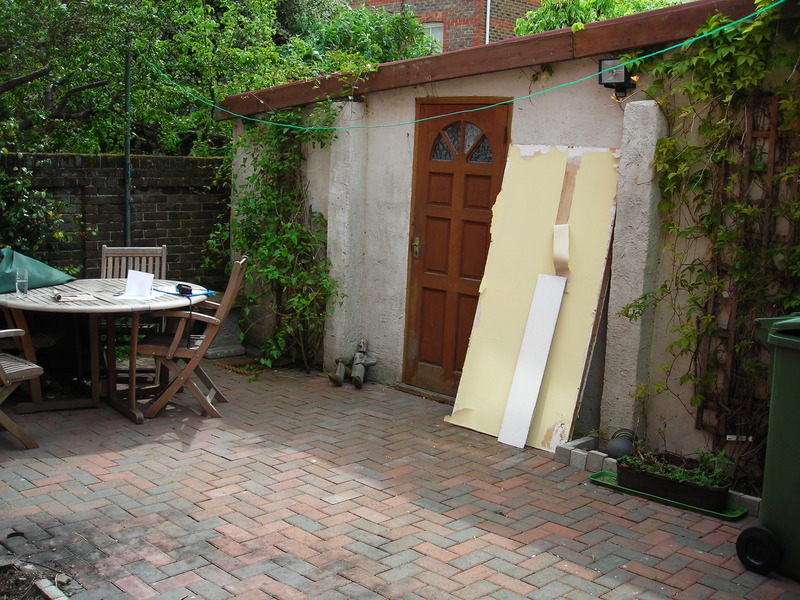 The large open space on the right is designed to take a table tennis table and the very occasional parking of one car. We love a challenge and need new creative challenges every day. 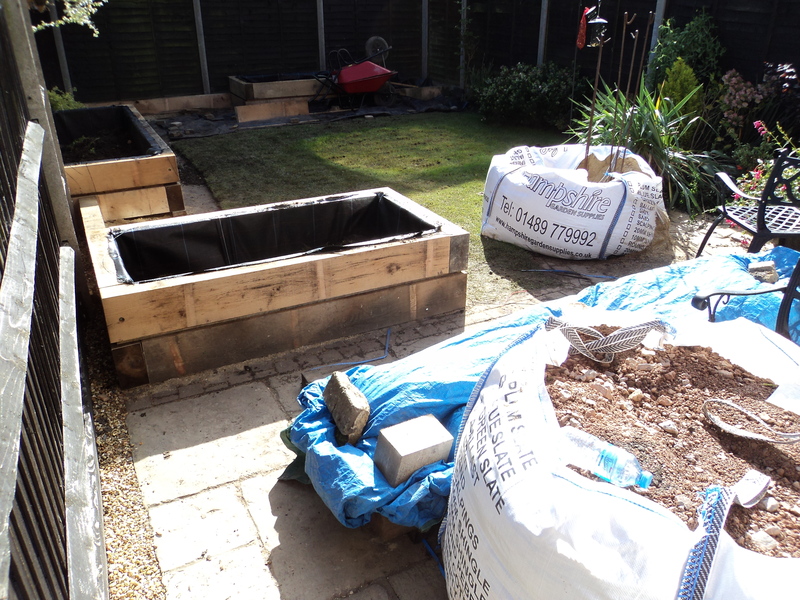 4 tons of compacted scalpings ready for the cement mix for the paving. 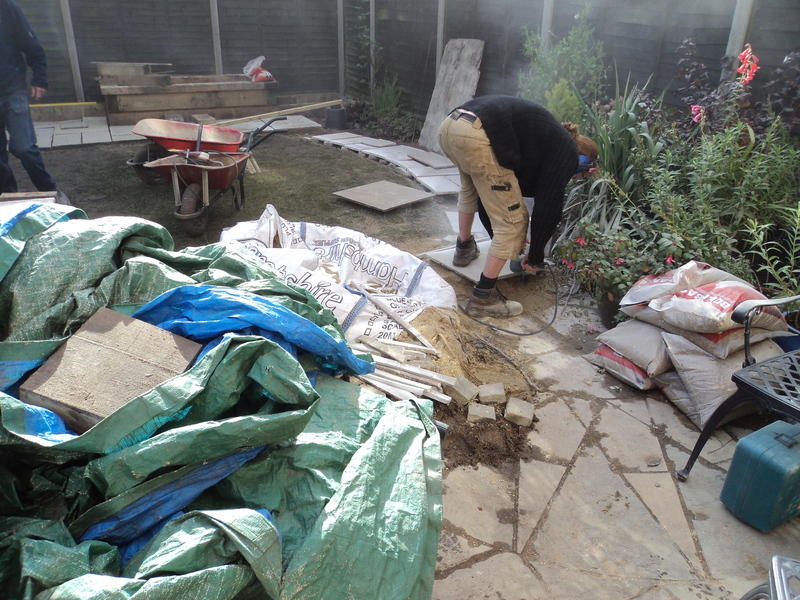 A 6:1 mix plus a special additive, we cement slip the back of the paving first for the best bond. 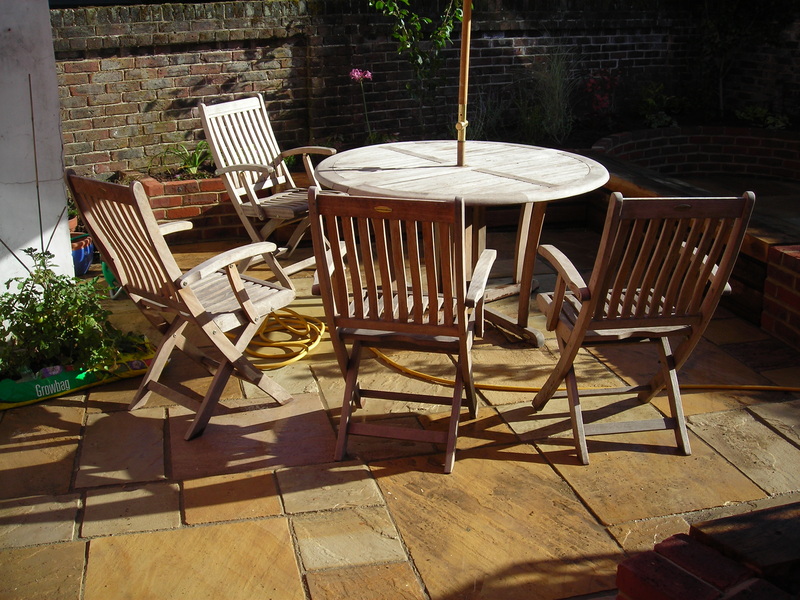 Natural sandstone paving, cut on curves using a powerful cutter with a diamond tipped blade. We use a laser level and string lines for the drainage fall. 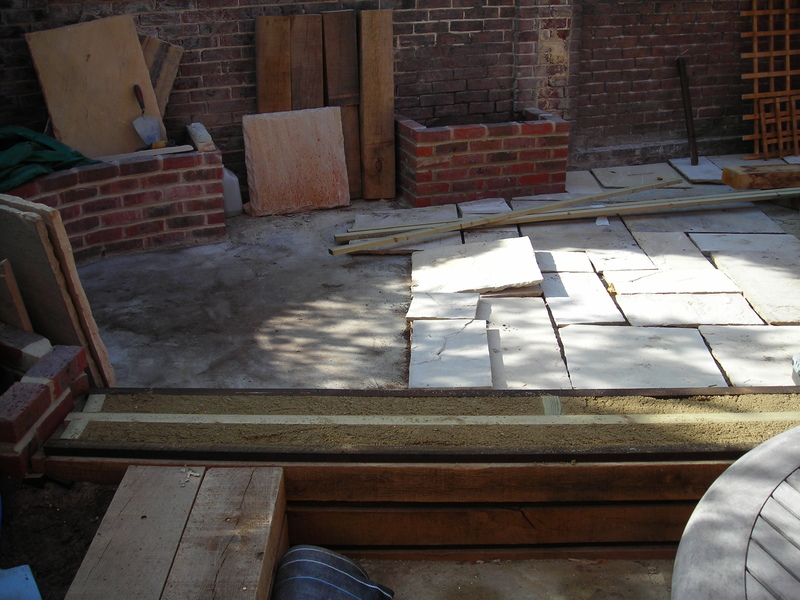 The whole of the side of the house at ground floor level will be removed at a later date and opened up with glazing etc. 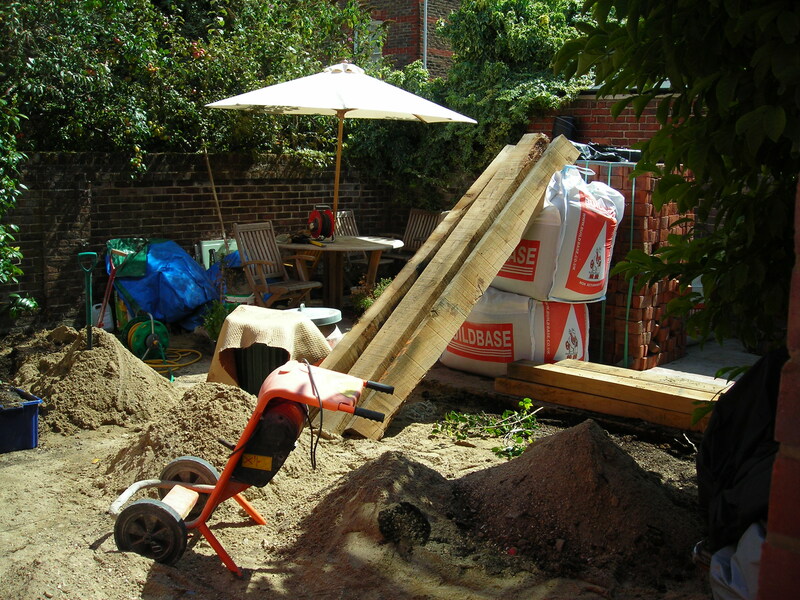 to address the new garden. 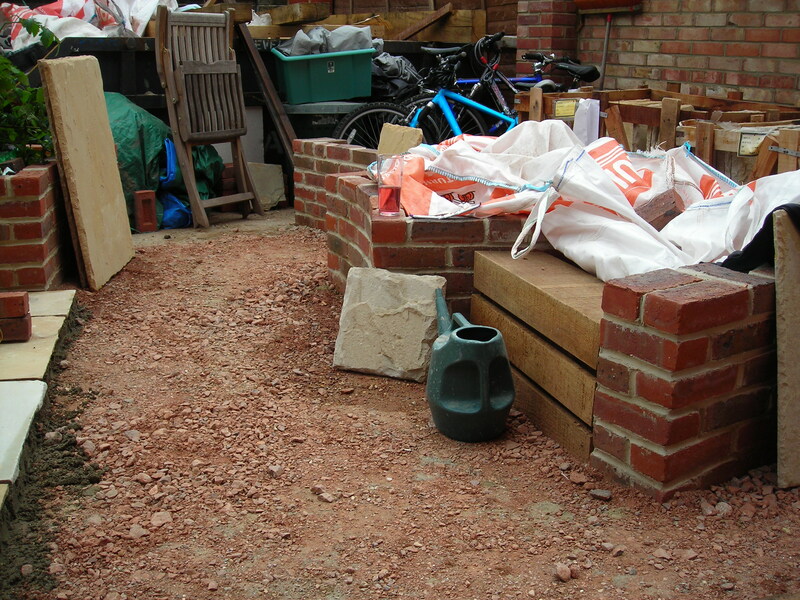 The paving level has been adjusted to take this into account. 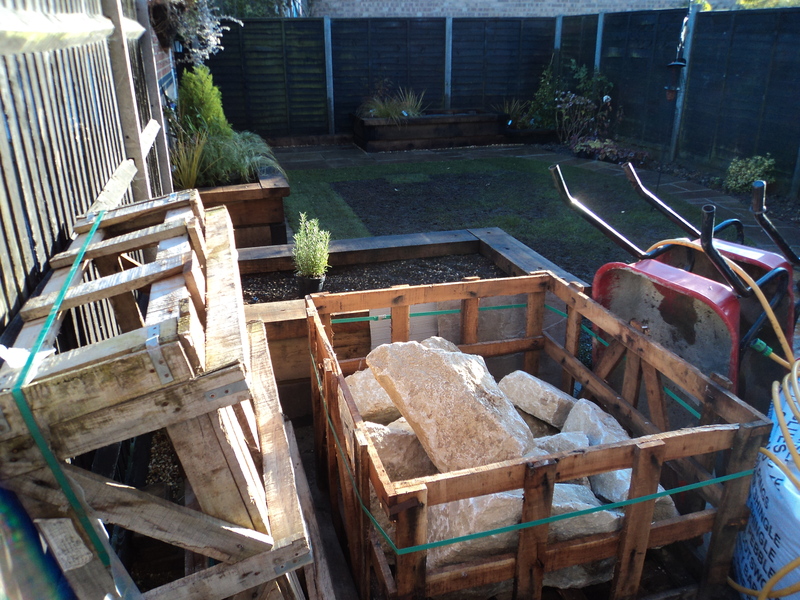 Approximately 16 tons of material was brought into the garden. 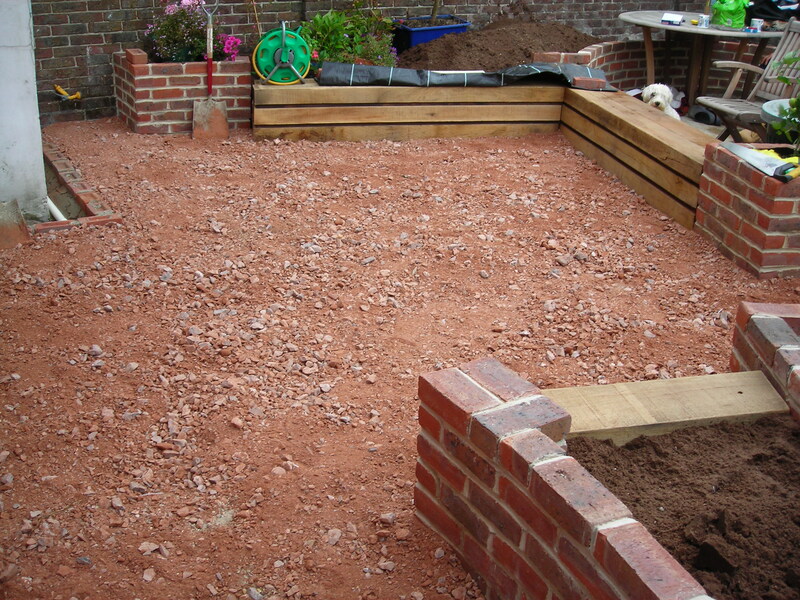 The raised beds are lined with membrane and filled with heat-screened top quality topsoil to one course below the top course of bricks. 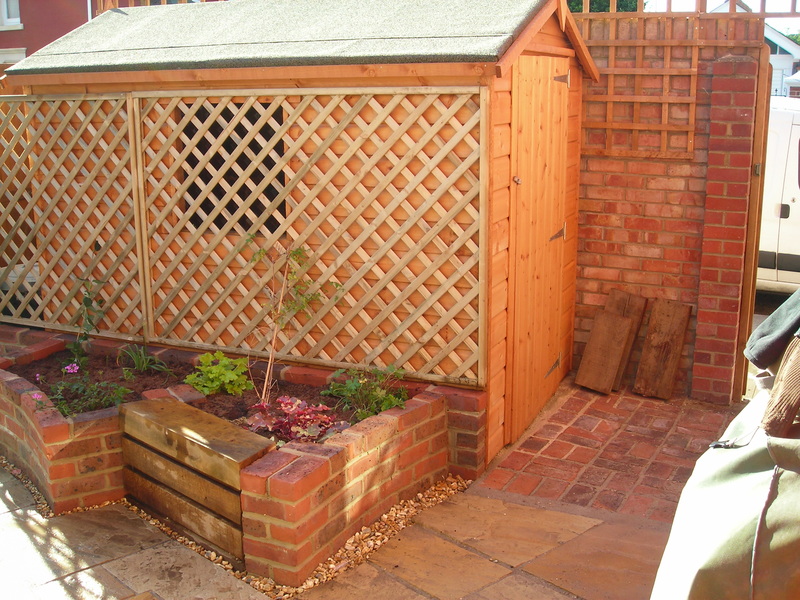 The shed was specially made to fit the space. We use trellis right across the shed face including the non-opening window. 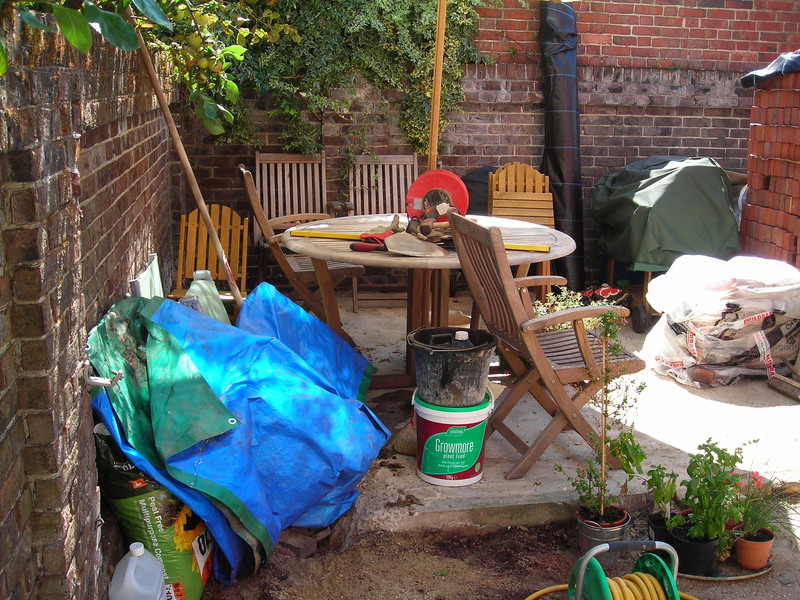 Planting (honeysuckle and clematis) will cover the trellis and soften/help disguise the shed. 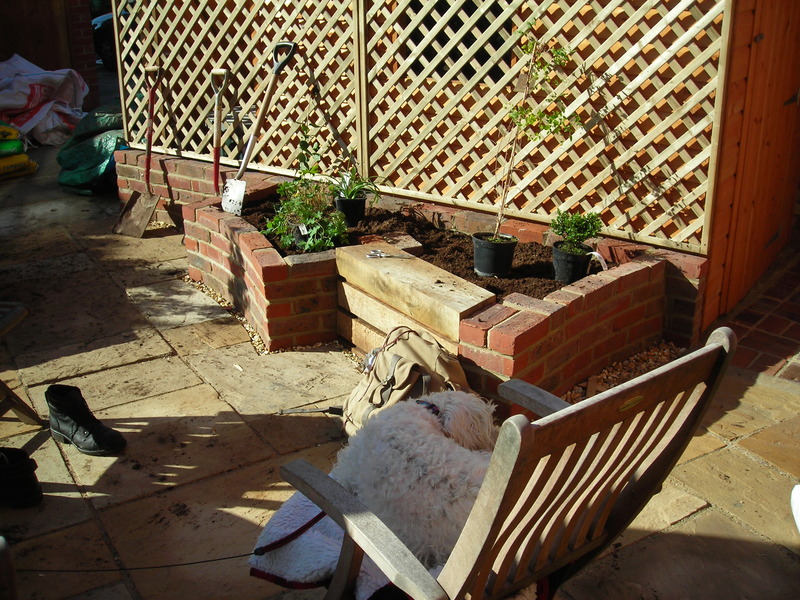 The trellis is raised slightly above the low brick raised bed to prevent rot and strengthened with a tanalised timber vertical post at the open end and bolted through the brick with two bolts. 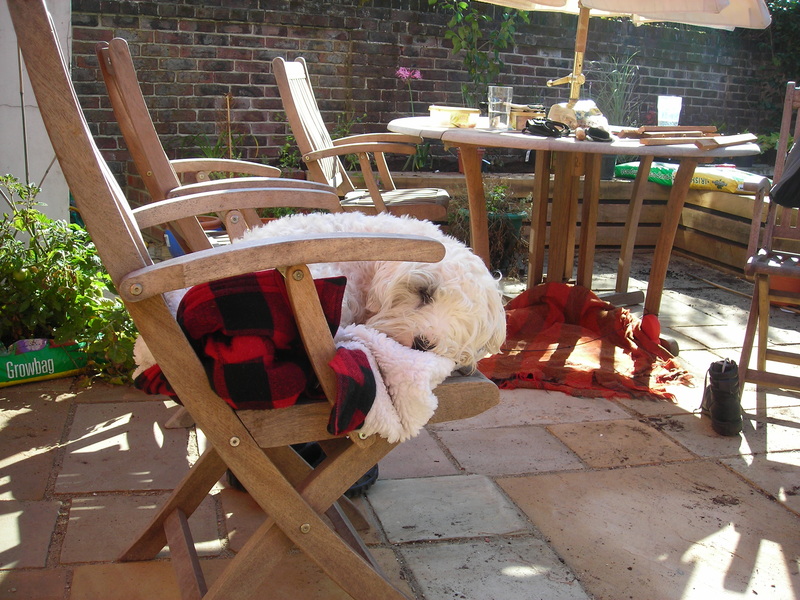 The foreman, Smartie, Graham’s Sealyham terrier taking a short break. 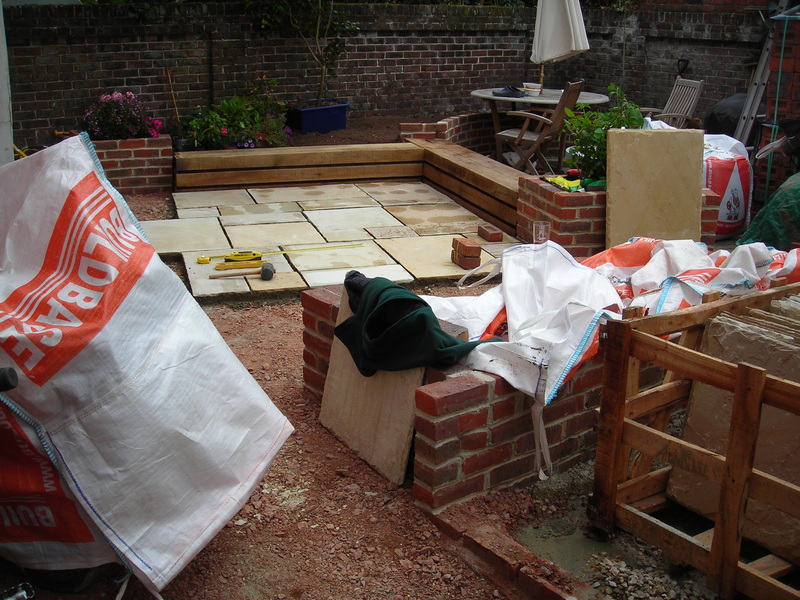 Garden design and build for clients in Craneswater Park, Southsea. 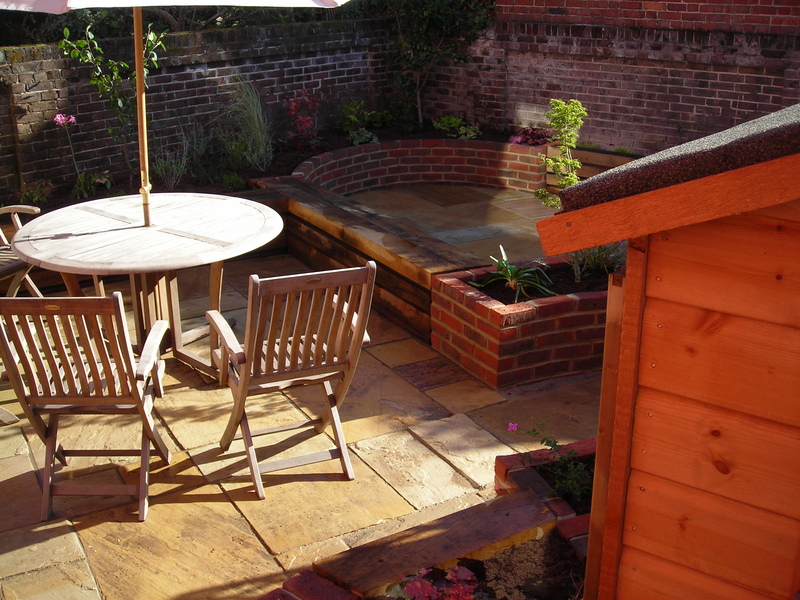 The garden is approximately square and south-facing. 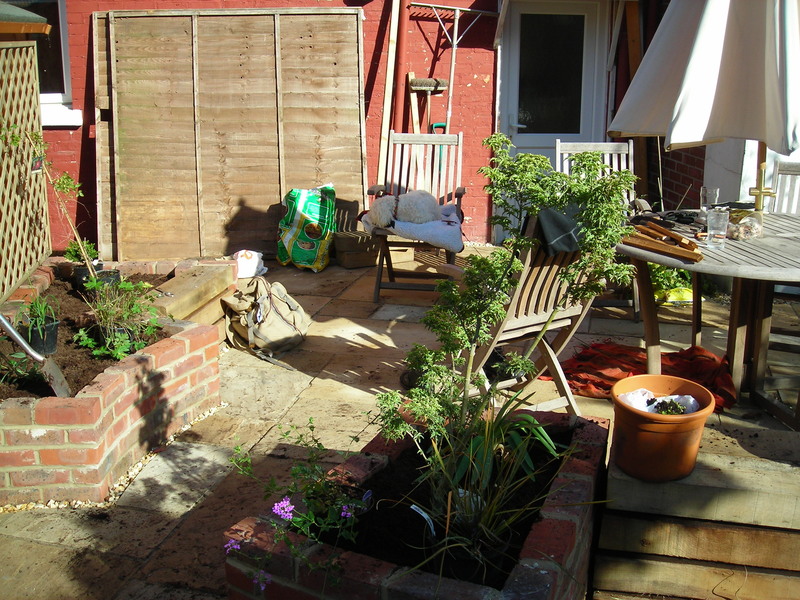 The garage was demolished and removed to double the size of the garden. 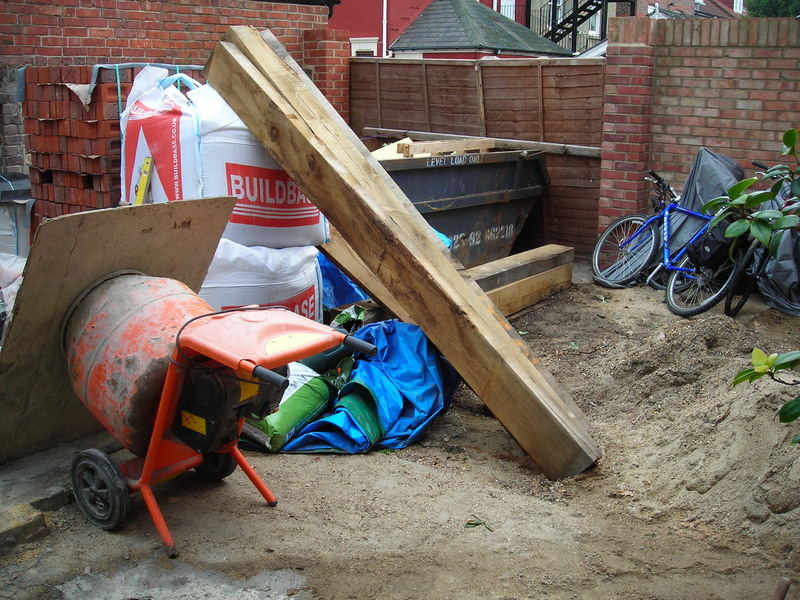 Approximately 8 tons of material was removed (excluding the garage). 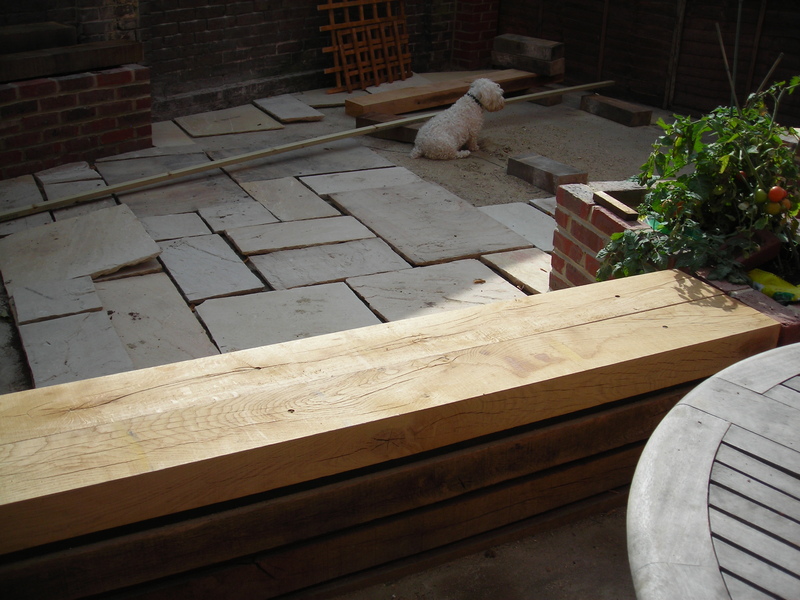 Preparing the tanalised timber with a dark wood preservative. 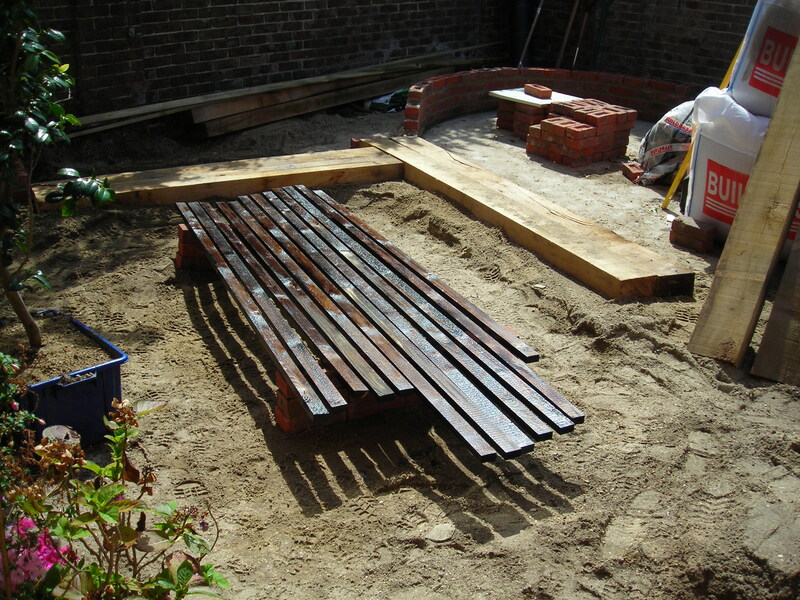 this will be placed between the oak to create a striated shadow line to emphasise the horizontal. 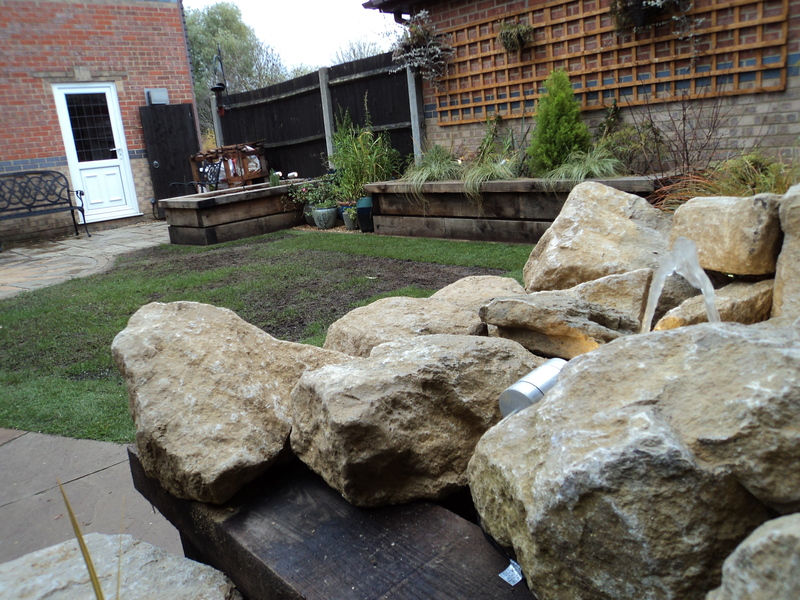 4 tons of compacted scalpings, laser-levelled. 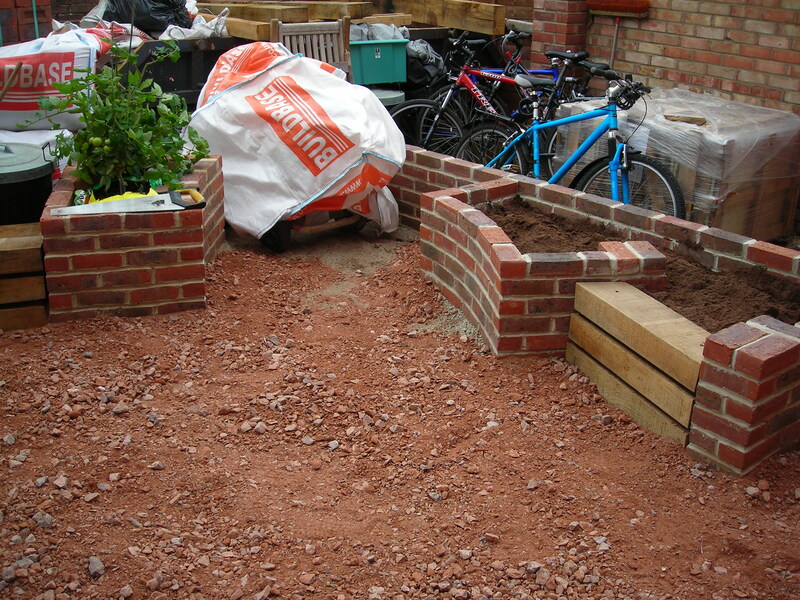 Brick raised beds using a local heavily fired, frost resistant brick. 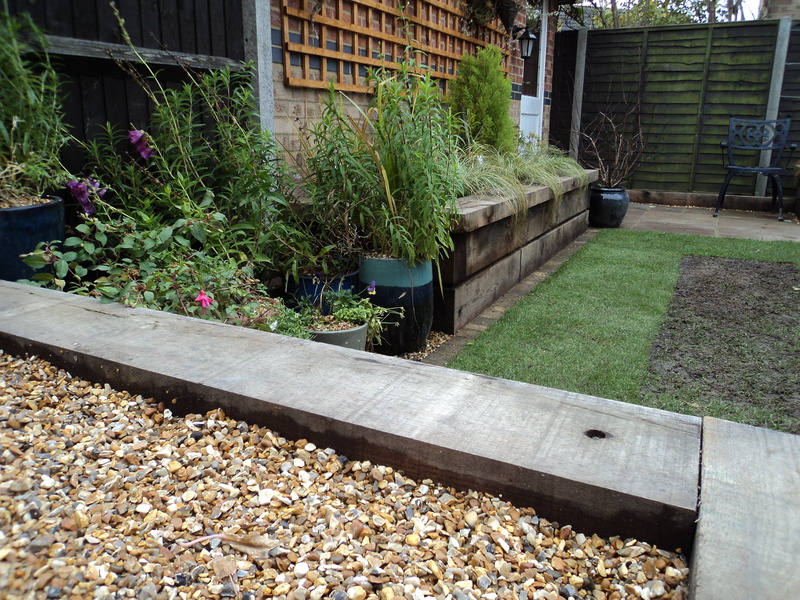 Timber inset by 2cm, nailed in and filled level with washed grit. 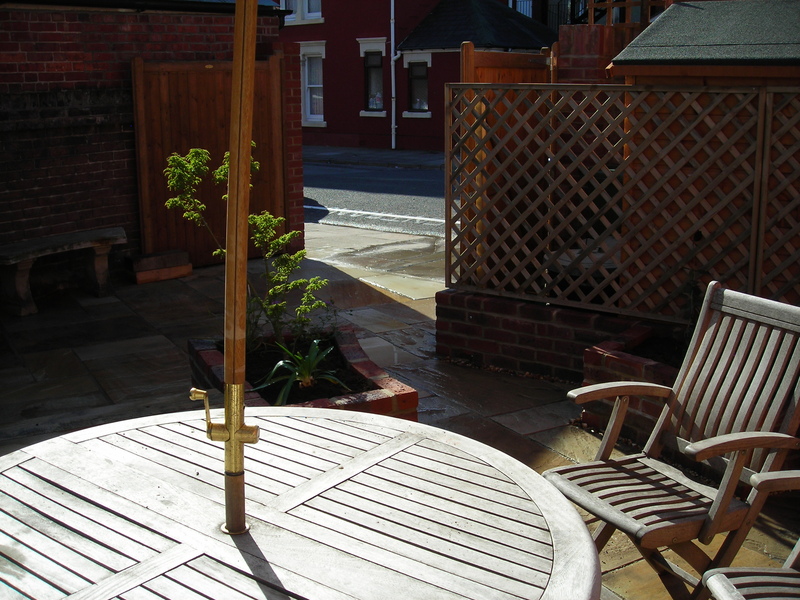 The oak is hand cut, long screw bolted in and countersunk. 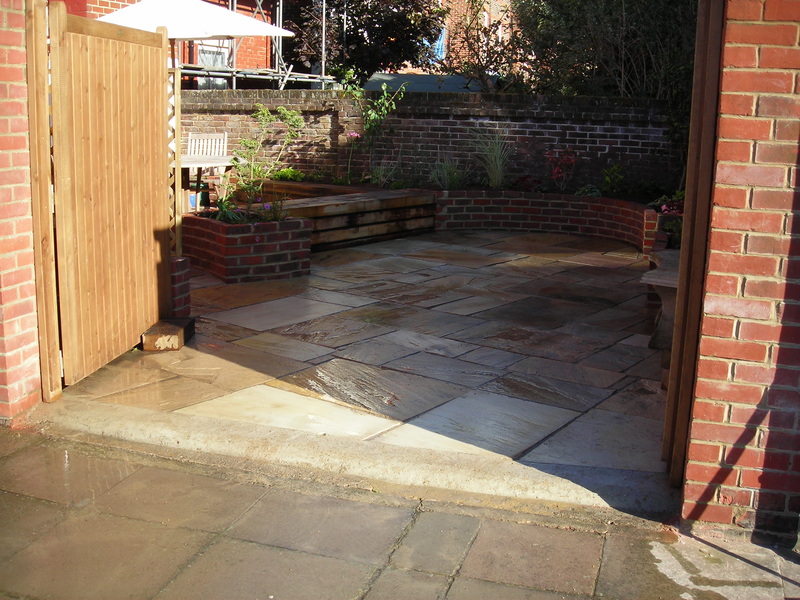 Semi-permeable landscape stabilising fabric is used wherever needed. 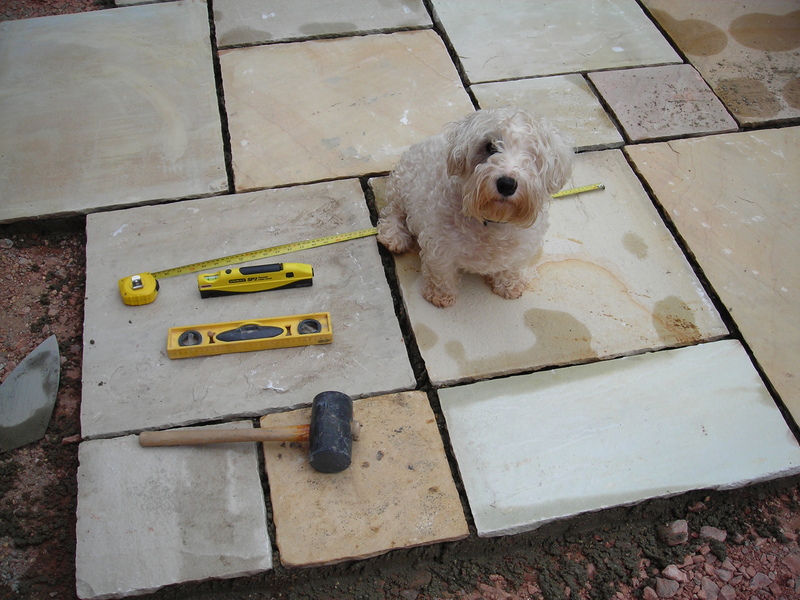 Smartie, Graham’s Sealyham terrier, is the Foreman, keeping her one eye on everything we do. Click on each image to enlarge it then click the back arrow to return. 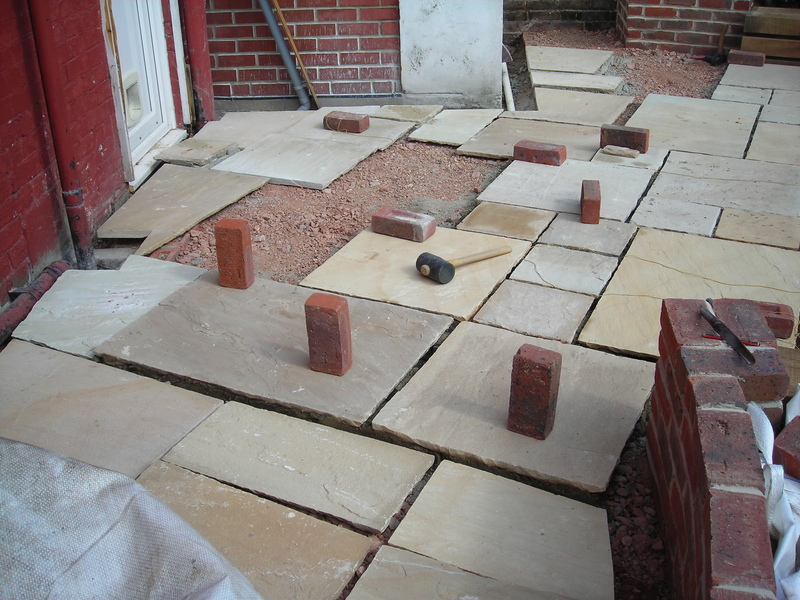 We removed the path and constructed and cut a new curved one using natural sandstone on the more shaded side. 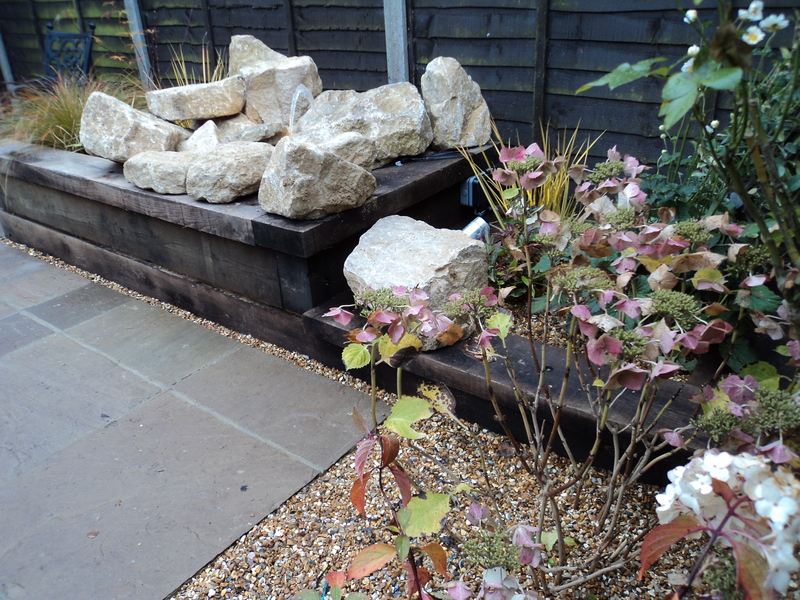 Purbeck stone was used for the water feature. Some pieces took three of us to lift them. 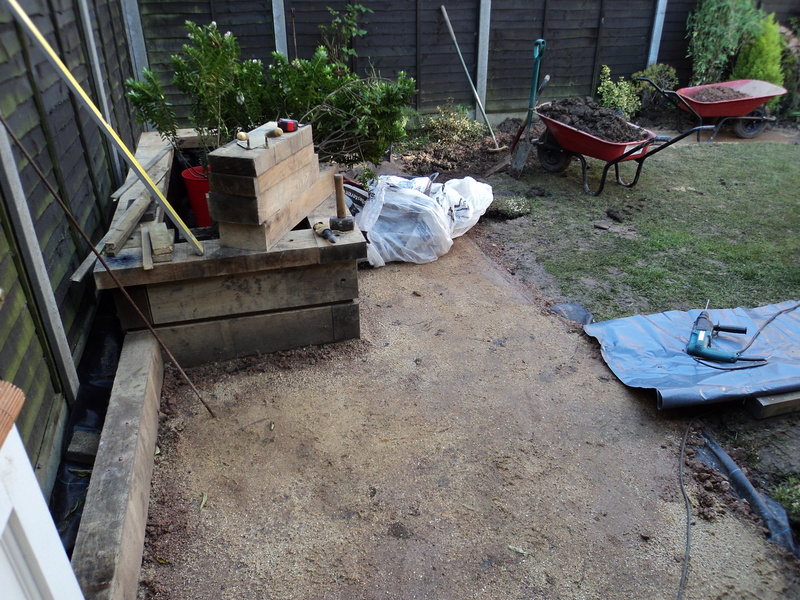 We built a structured pond within the oak using blockwork with tanking slurry for a safe and permanent pond. Iron rods in a grid form were used to support the rocks. New turf was cut in to enable ease of mowing. 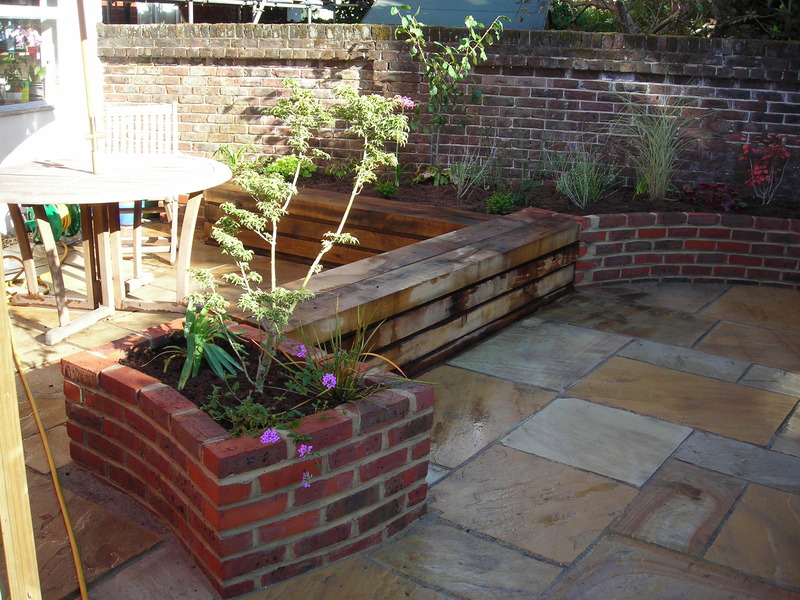 A structured pond/water feature using inert tanking slurry, a permanent waterproofing product as pond liners simply degrade and leak over time. Remote control garden lighting and water can conveniently be turned on or off from inside the house or from anywhere within the garden. 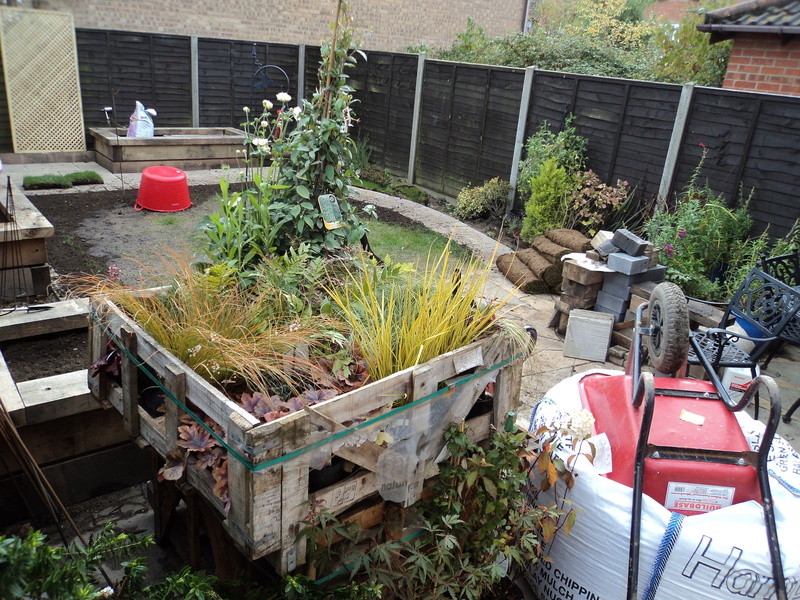 This end of the garden was particularly boggy clay, often waterlogged. 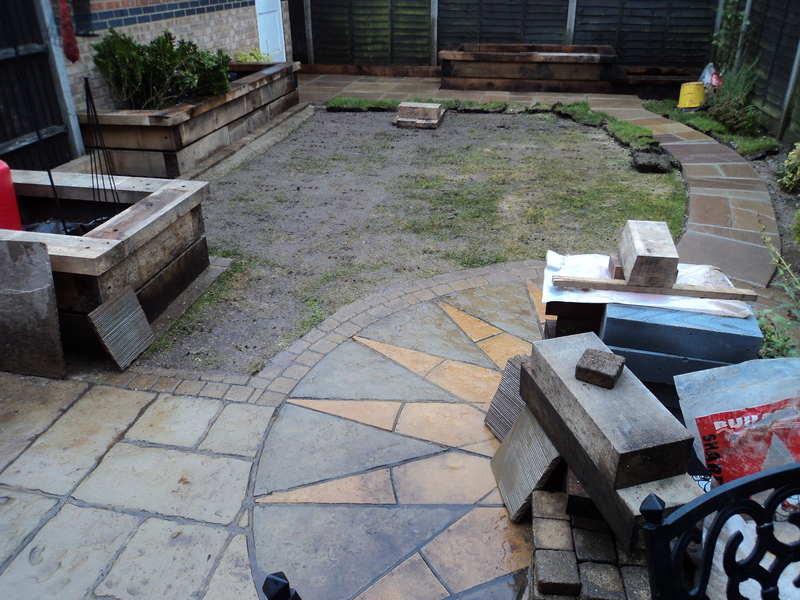 We raised the paving with additional foundations, introduced gravel in the borders and constructed oak raised beds to resolve this issue.